Peter Shaver guides the reader through the 13.7 billion year history of the galaxy, spanning the origin of the universe, the origin of life, the possibility of life beyond Earth, and the evolution of consciousness and cognition. The main purpose of the book is to provide an overview of the big questions that remain unanswered in modern science by means of a narrative throughout the history of the universe. A retired astrophysicist, Shaver set out on a quest to broaden his own scientific horizons, writing this book in the process. The book is admirably comprehensive, spanning a truly impressive range of scientific fields, and demonstrating a vast review of the literature in the process. 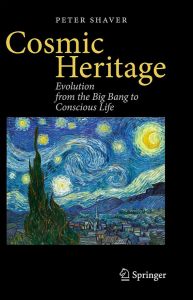 I was particularly engaged with the chapters concerned with consciousness and the evolution of cognition. However, I felt the book was too heavy on the astrophysics topics, and I struggle to see how this book is accessible to the interested layperson, as advertised. A book with the goal of being as comprehensive as this would clearly be incomplete without these topics, yet owing to the author’s own research interests I felt these chapters were too detailed and lacking in focus. In fact, my main issue with the book is that in its attempt to cover everything I found it difficult to be consistently engaged throughout. Overall this is an impressive attempt to comprehensively take the reader on a journey through the history of the universe. However its overly in-depth early chapters make it less accessible than I believe it was intended to be. It is nonetheless an interesting read, aimed more at an audience with a scientific background.